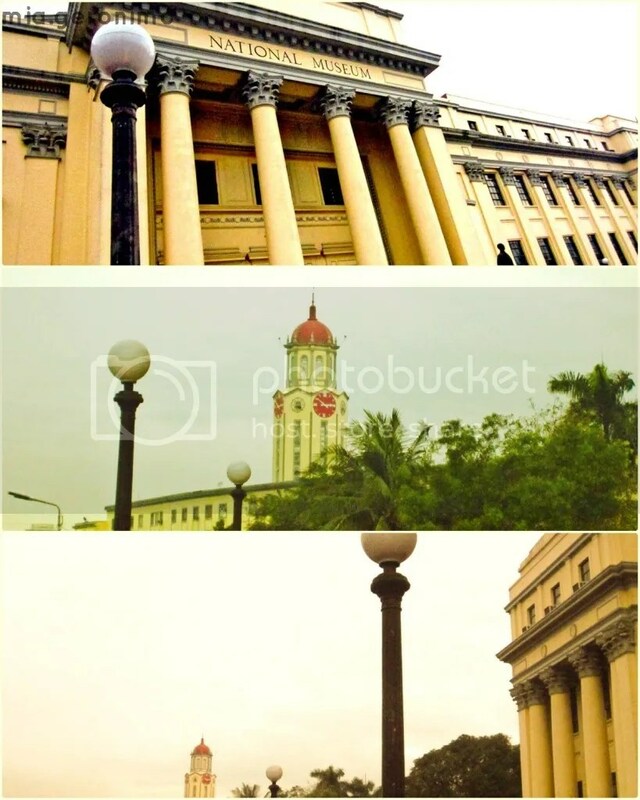 Every country has an official repository for its national treasures, archives, and mementos for all the precious historic moments that would encapsulate its history as a nation. 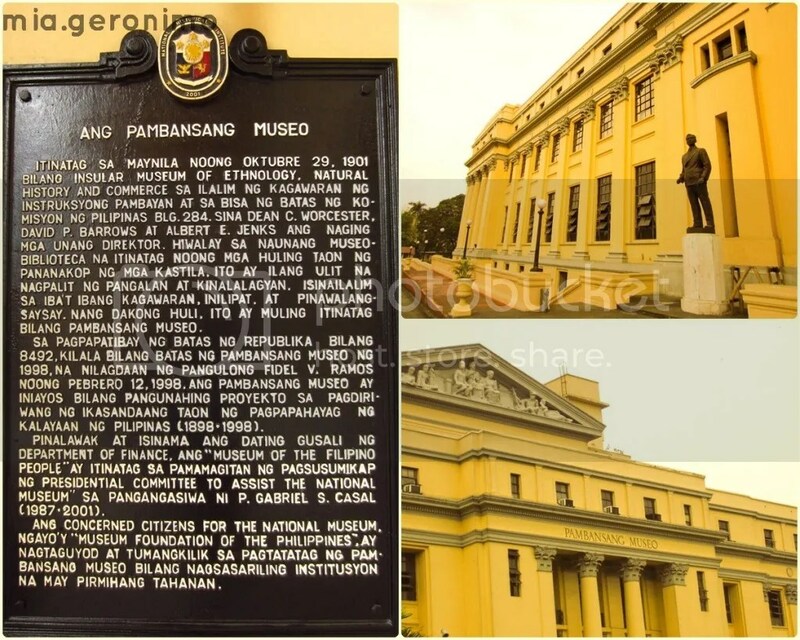 Pao and I have been enthusiastically visiting museums from abroad, and we felt very guilty for not having been able to visit our very own National Museum. Our conversations would normally include thoughts about visiting the National Museum but we did not actually make a concrete plan on when to actualize it. One Saturday morning, Pao told me that he was going to take me to a place that we should urgently visit. He told me it was a surprise and that I just needed to trust him and that I should just hop on the car. 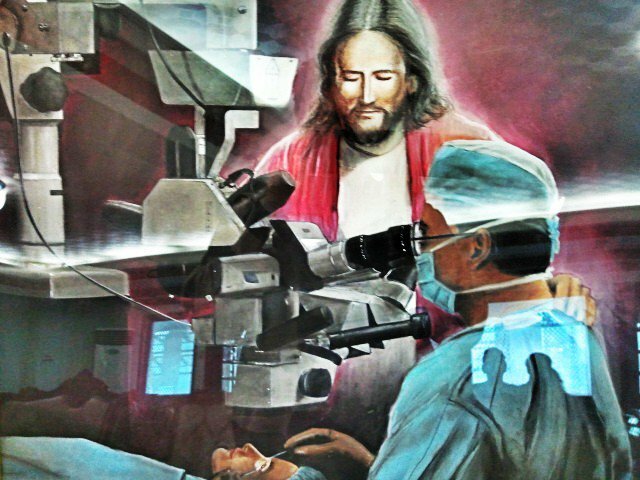 Being the obedient girl that I am (insert halo here), I willfully agreed and just held my breath in eager anticipation. 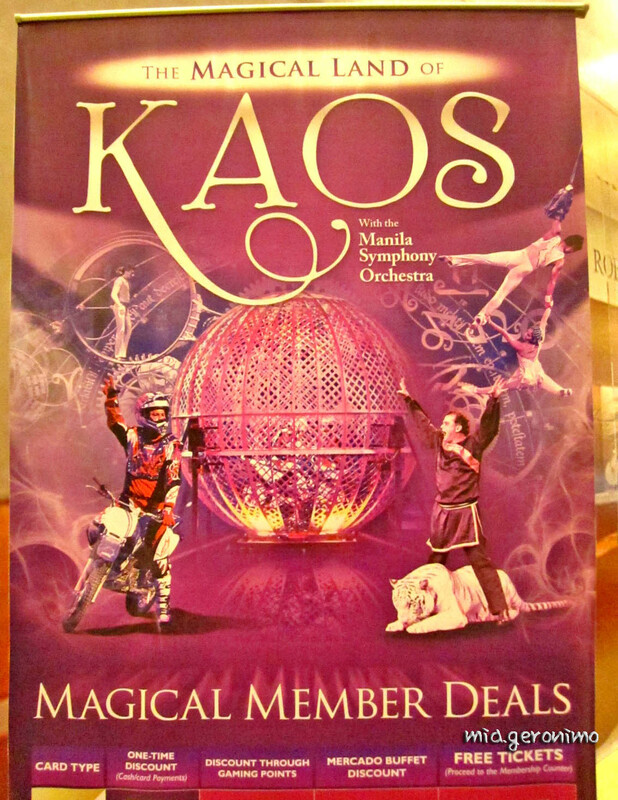 KAOS with the Manila Symphony Orchestra! 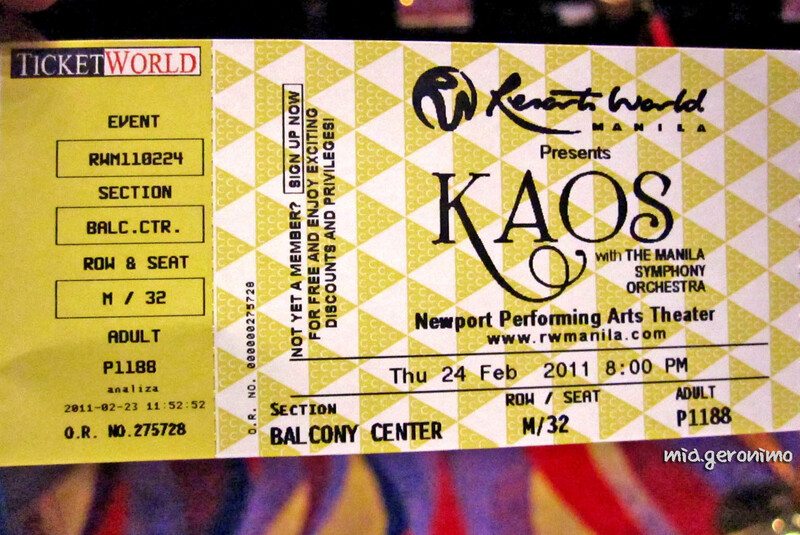 Posted on July 25, 2011 by Mia G.
As part of my family’s efforts to entertain ourselves to aid our moving-on process from our recent demise, we decided to entertain ourselves and all together watch a spectacular show found only in the magical land of KAOS! Posted on July 19, 2011 by Mia G.
February 6, 2011 marked one of the darkest days of my life. My dear Papa, was taken by the Lord, and I tell you, it is one of the most inexplicable feelings that I have ever felt in my whole life. I loved my Papa very dearly, and I was his favorite daughter, I, being his only daughter. I was lost. My relatives came in and flew over from different places and countries to sympathize with our demise. This was somewhat a reunion we did not want to do because this kind of event is something that all people would not like to celebrate. After the week-long service for my dad, it was time for us to bid him goodbye and start the process of moving on despite the fact that we all knew that it would be very hard to move on. But we just have to do it, for the sake of trying to move on. And so, we tried visiting new places to keep ourselves entertained–just to keep our thoughts away from getting sad again. Despite the heaviness taking over my entire body, I went back to work. 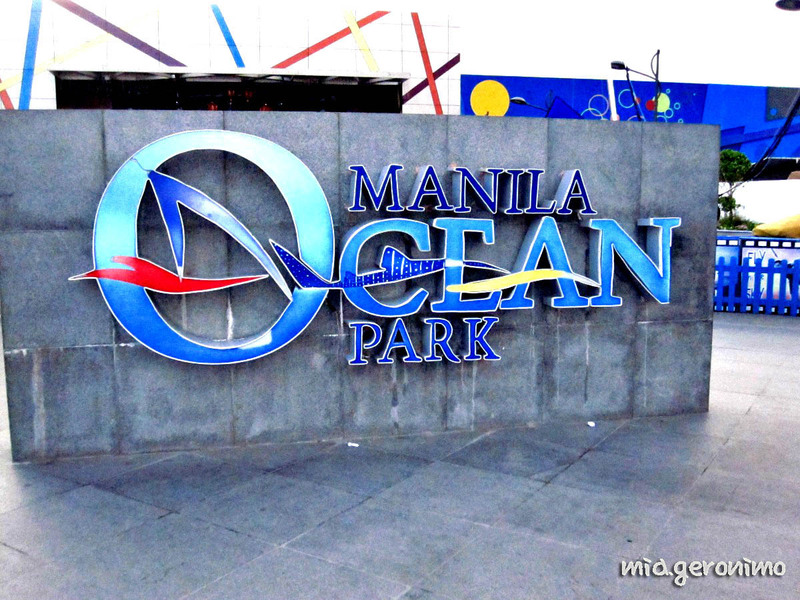 But my entire being was very much unfit to work, and so, I willfully obliged when my mom called me and informed me that she, together with my brothers are going to Manila Ocean Park for a breather. I left work (with a valid excuse, well actually, made-up valid excuse) just so I can spend time and heal wounds together as a family.